When doing it yourself just isn't working for you any longer... We are here to help! We offer a wide variety of printing. From posters to business cards, brochures to invoices; wedding invites to thank you cards. 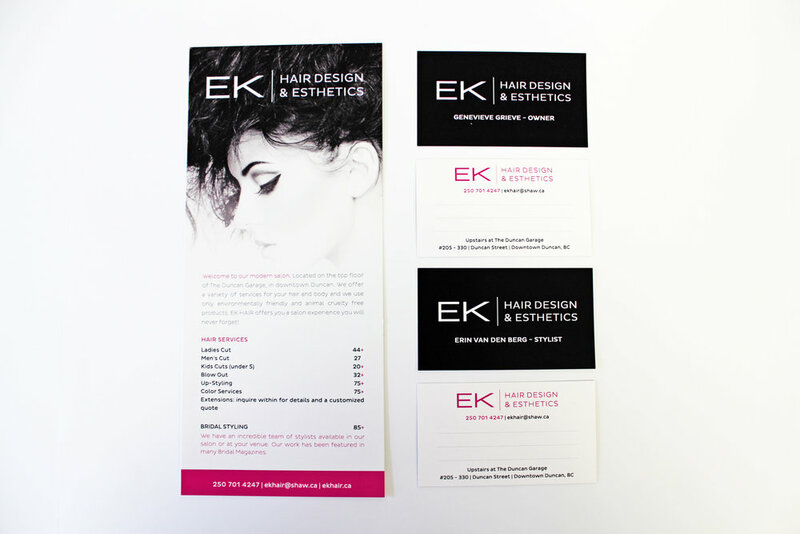 Our business cards are a nice heavy stock with crisp and clear printing on one or both sides. We offer price breaks ever 250, 500 (standard box) and 1000+ cards. 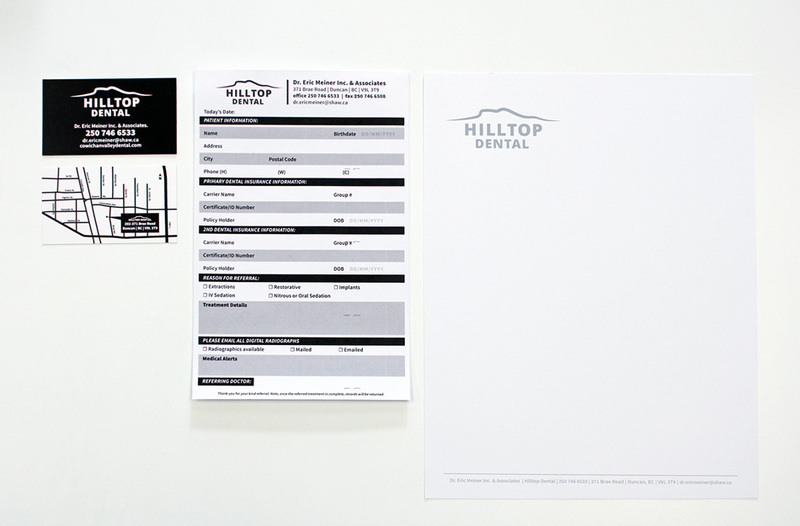 We offer a complete proof to be approved prior to printing. All card stocks types and colours are available. We offer full colour printed posters on a heavy matte poster paper. We use our large format printer for this which allows for any size the client would like. We can print any size or dimensions. You are not limited to "standard sizes" with our posters! 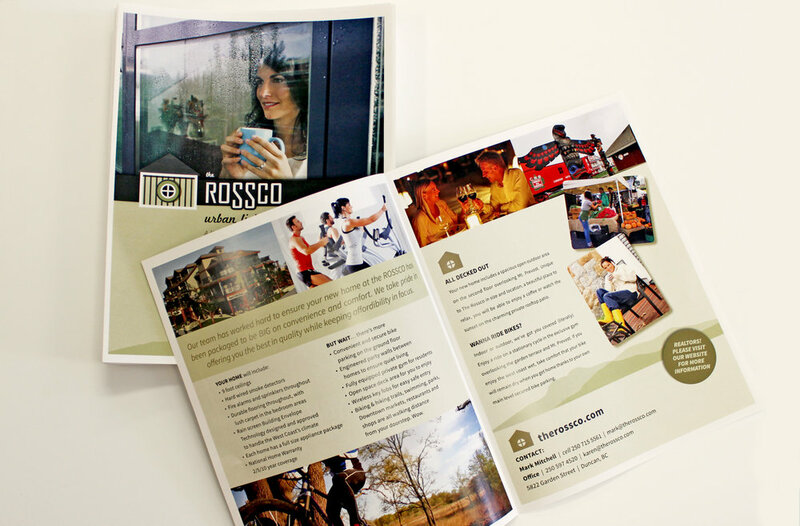 We also produce some beautiful brochures that will showcase your company beautifully! Turn almost any photo into a beautiful piece of art for your home. Restoring and printing old family photos provides a quality, sentimental and unique gift for your family members! We’ll do whatever it takes to strengthen the resolution, touch-up and restore old photos back to life. We can also print your favourite quotes, images or personal and children’s artwork. Once an image has been selected, we digitally print and stretch the treated canvas onto wood frames in-house. We have a wide variety of sizes available. The finished product is a truly creative, affordable & unique gift for anyone you love. Try out our consultation form. It goes a little beyond our basic contact form, a few extra questions about you, your project, business, etc. These little specifics will help us pin-point your needs as our customer better. Thanks, and we look forward to working with you!